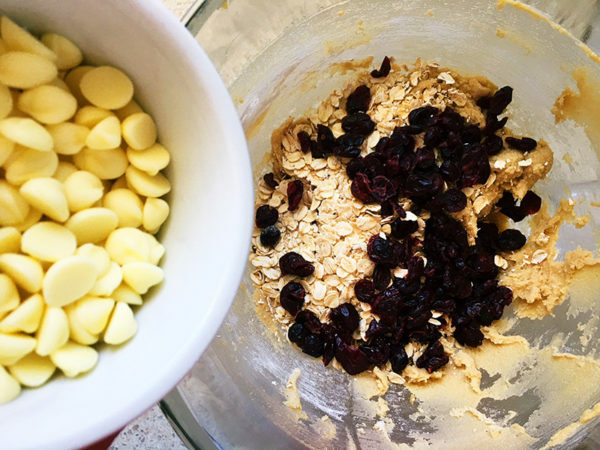 If you’re not a white chocolate fan, you can easily sub it out for dark or milk chocolate – or leave them out altogether – I promise, they’re still just as delicious sans chocolate. Preheat the oven to 175°C. Line two baking trays with baking paper. 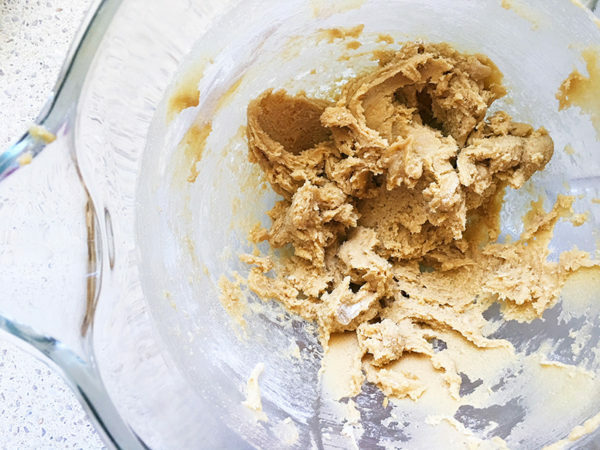 Using electric beaters, cream together the butter and sugars until light and fluffy. 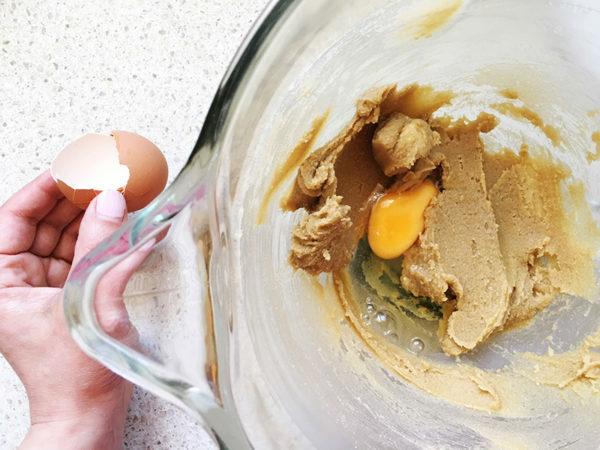 Add the egg and vanilla, mix in well. 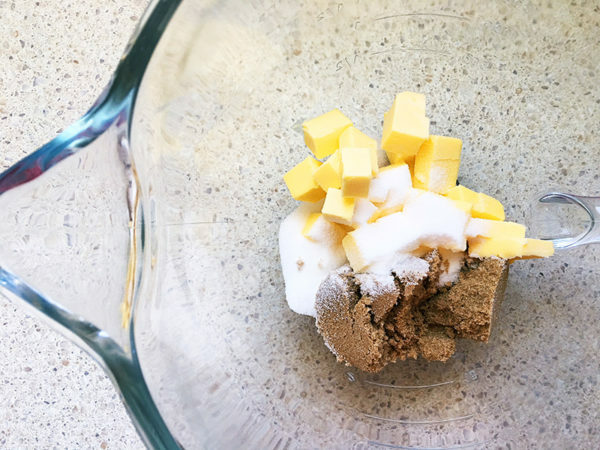 Into the butter mixture, sift together the flour, salt and baking soda. Mix until just combined. Add the rolled oats, the cranberries and the chocolate. Stir through until well combined. 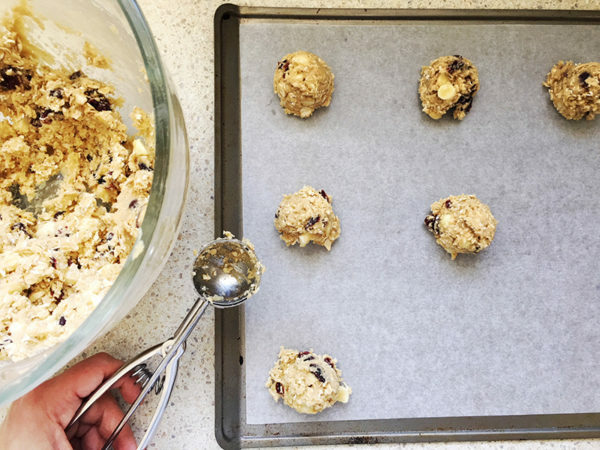 Roll tablespoons of mixture into balls and place on a baking tray, leaving a fair bit of space between each one to allow for spread. Flatten each ball slightly and bake for 15 minutes or until just cooked in the centre. 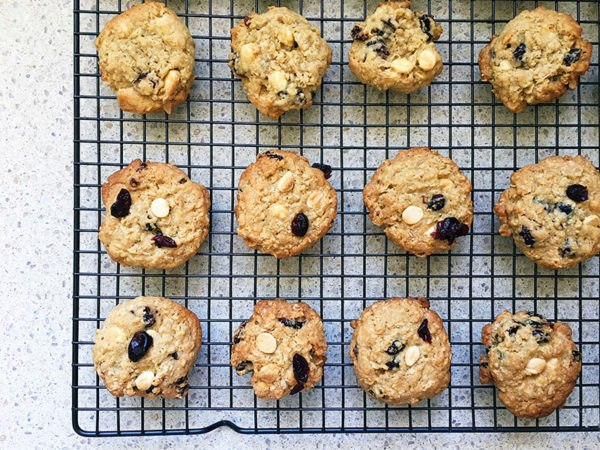 Remove from oven and let cool on the tray for five minutes before transferring to a wire rack to cool completely. All that’s left to do is make a cuppa and enjoy a freshly baked biscuit. Enjoy!